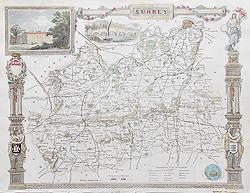 "Good morning David, Yes - the map (Framed map of Surrey by Moule) arrived on time and in excellent condition. 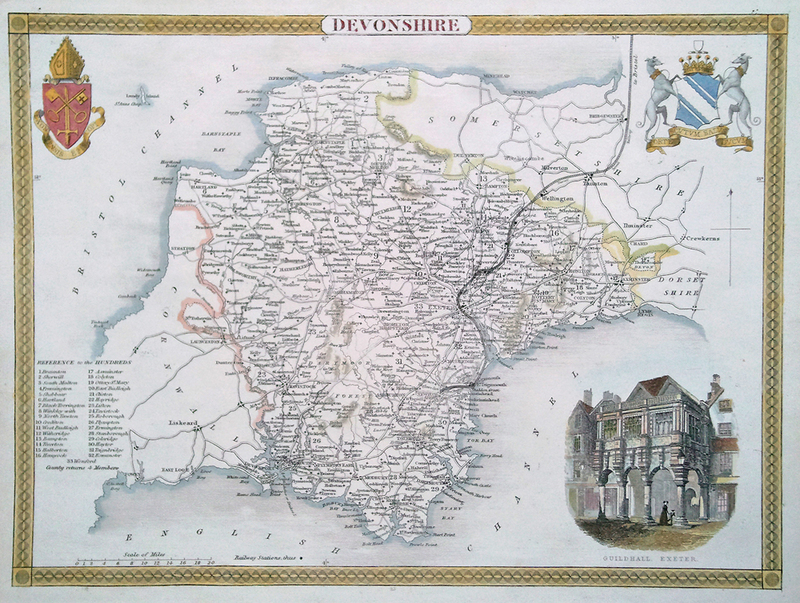 Thank you for the prompt delivery! 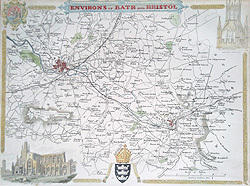 Kind regards Edna." 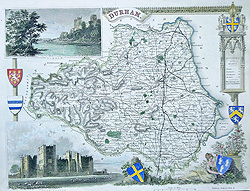 Read our customers comments here. 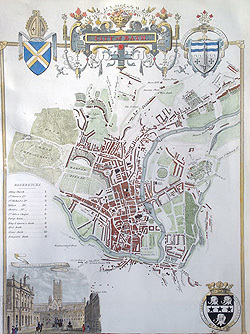 was a writer on heraldry and antiquities born in 1784 at St Marylebone in London. 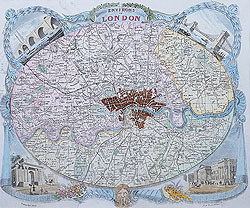 He carried on business as a bookseller in Duke Street, Grosvenor Square, from about 1816 until 1823, when he became Inspector of 'blind' letters in the General Post Office, his principal duties being the deciphering of such addresses as were illegible to the ordinary clerks. 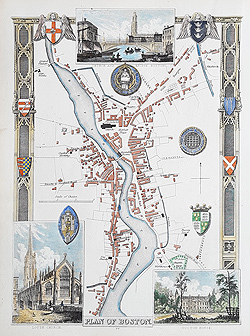 He also held, for many years, the office of Chamber-keeper in the Lord Chamberlain's Department which entitled him to an official residence in the Stable Yard of St James's Palace, where he died on 14 January 1851. 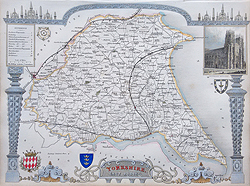 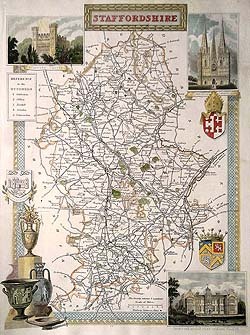 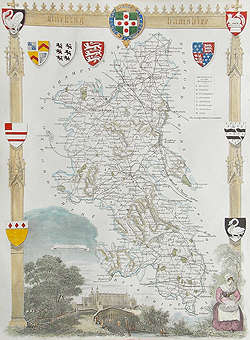 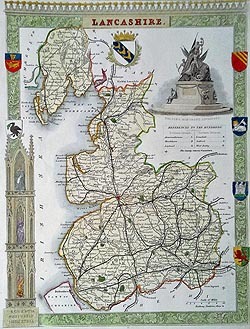 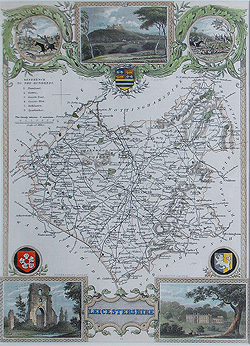 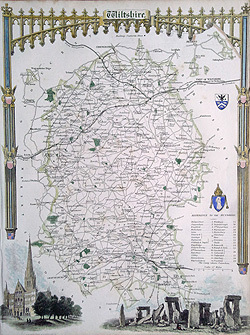 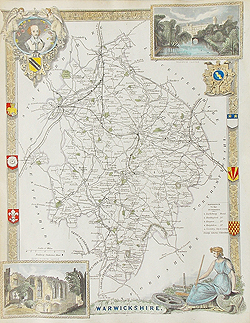 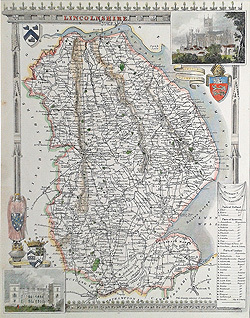 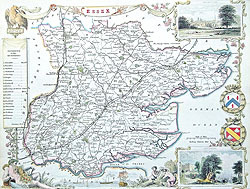 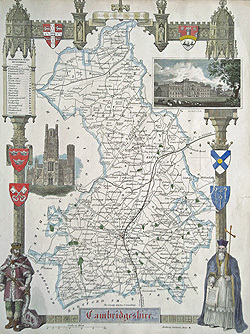 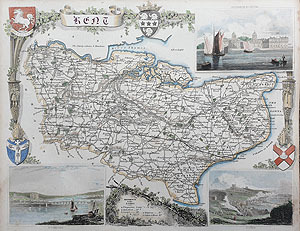 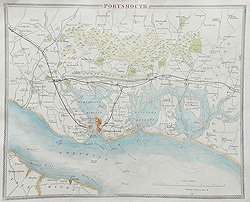 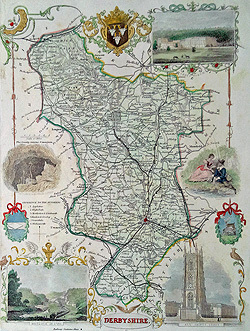 The well-known series of County Maps which are known as 'Moules' were first published in separate sections for each county in 1830-32 and they were then published in collected form in a two-volume work: The English Counties Delineated: or a Topographical Description of England: Illustrated by a Complete Series of County Maps by Thomas Moule: London: Published by George Virtue 1836. 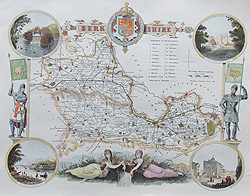 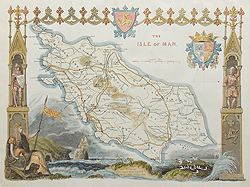 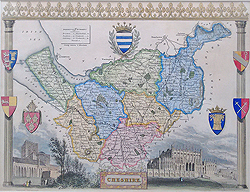 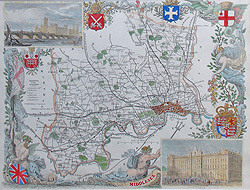 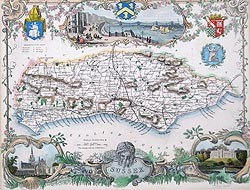 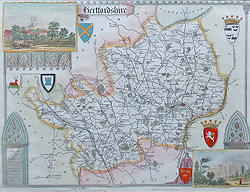 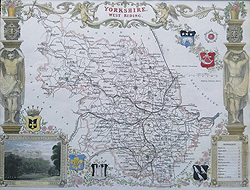 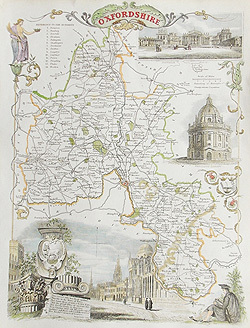 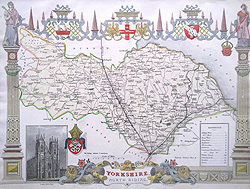 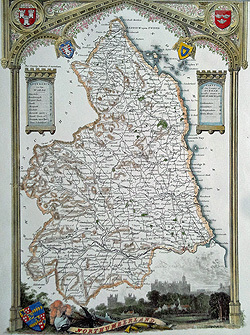 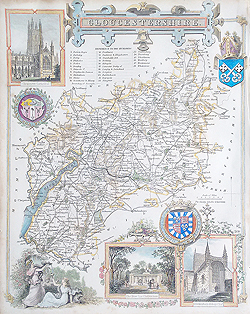 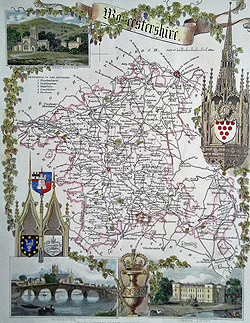 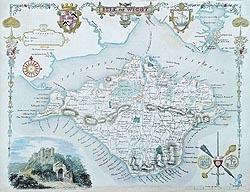 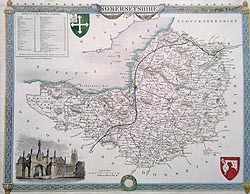 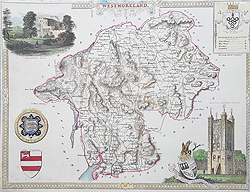 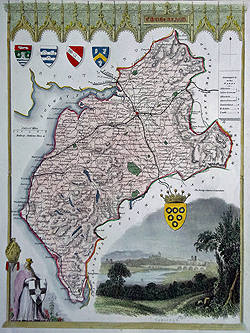 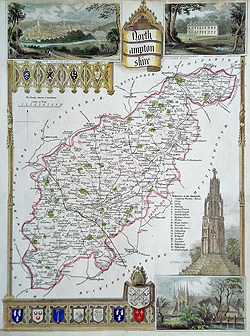 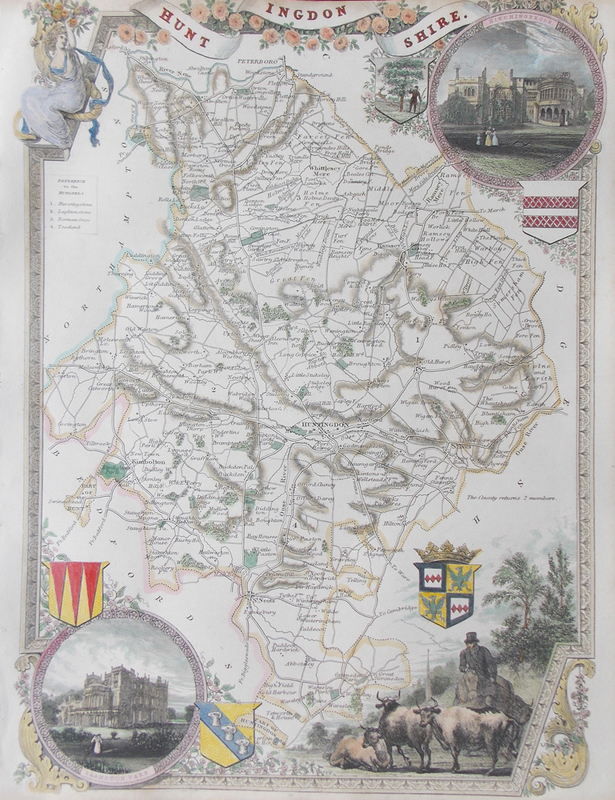 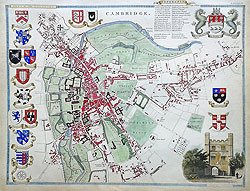 Further editions were brought out by Virtue (some with original hand-colouring of the maps) until about 1839. 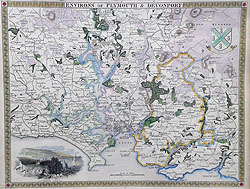 In 1841 the maps appeared in a publication entitled Barclays Complete and Universal English Dictionary with additions to the original plates showing the railways, which had been constructed. 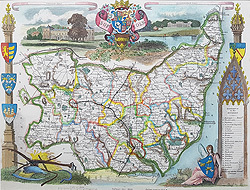 Normally maps, which come from this work are very close trimmed, often into the printed surface, as the format of the dictionary was slightly smaller than the original publication. 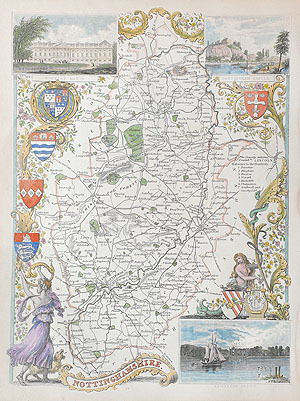 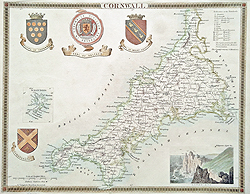 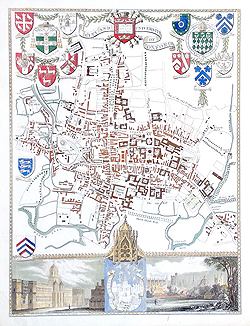 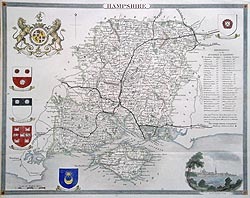 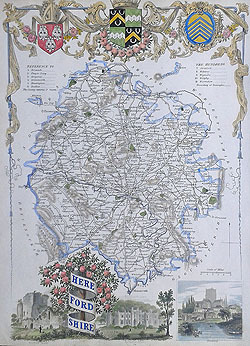 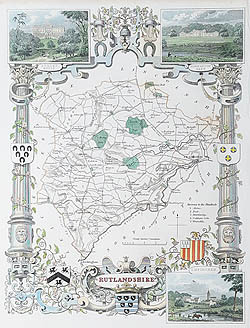 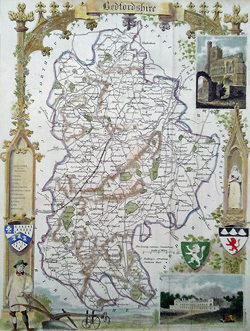 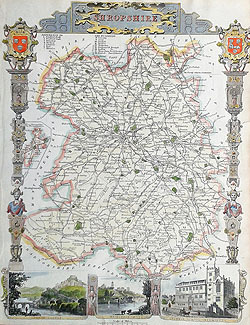 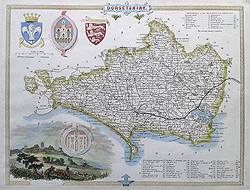 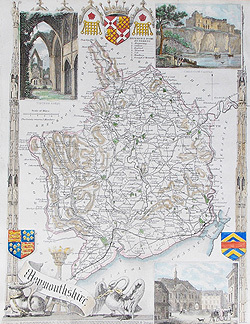 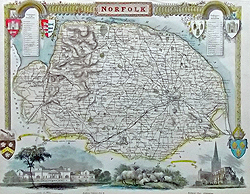 They are the last series of decorative county maps to be published.